RM’S Holly Goes Lightly became a member of Greenlee Farms shortly after she was foaled in April 2010. Holly is the kindest mare with the personality perfectly suited for the show ring. This amiable mare has established a place in our hearts with her ability to work well with other horses, kids and anyone with a bit of carrot. Holly took to hitching and riding like it was her job; having grown up with light horses, this was a very pleasant surprise. In our second decade as stewards of this magnificent breed of horse, we now know that her demeanor is more the rule rather than the exception. Holly was foaled in April 2010 by Rising Moose Stables. Her sire is Isles Field Danny Boy (ASHA 23001-S) and her dam is New England Sapphire (ASHA 24331-M). 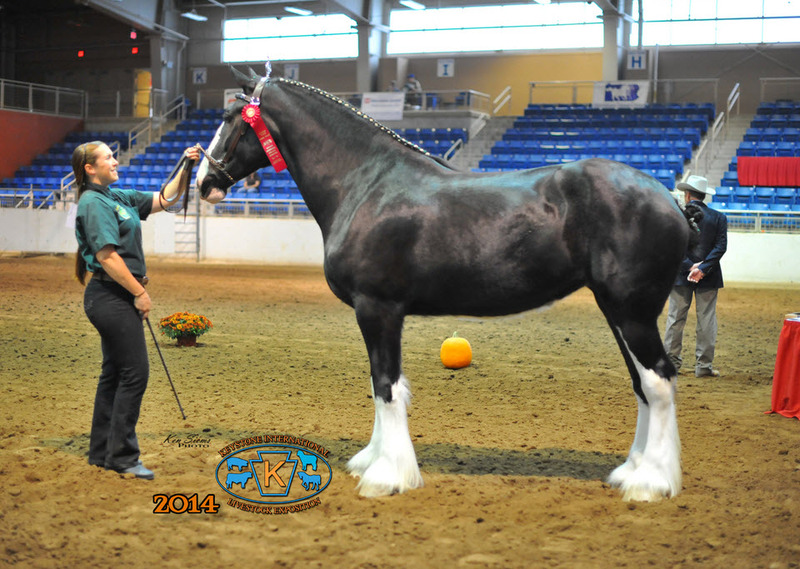 Holly’s show career started early as she was Reserve Grand Champion Shire filly at Keystone International Livestock Exposition (KILE) in 2010, she has accomplished blue ribbons under saddle, cart, the 4-horse hitch, placed Best American Bred and Grand Champion Shire Mare at Ohio State Fair in 2015.